Every digital marketer’s day includes reviewing key metrics to get a check on what’s working and what needs improvement. Keeping atop of the day-to-day activity is easily managed with the help of Mautic's dashboard analytics widgets. Use the pre-built selections, or create your own customized view on the metrics that matter to you. Dynamic, detailed reports give you power to analyze everything from overall trends to individual campaign results. 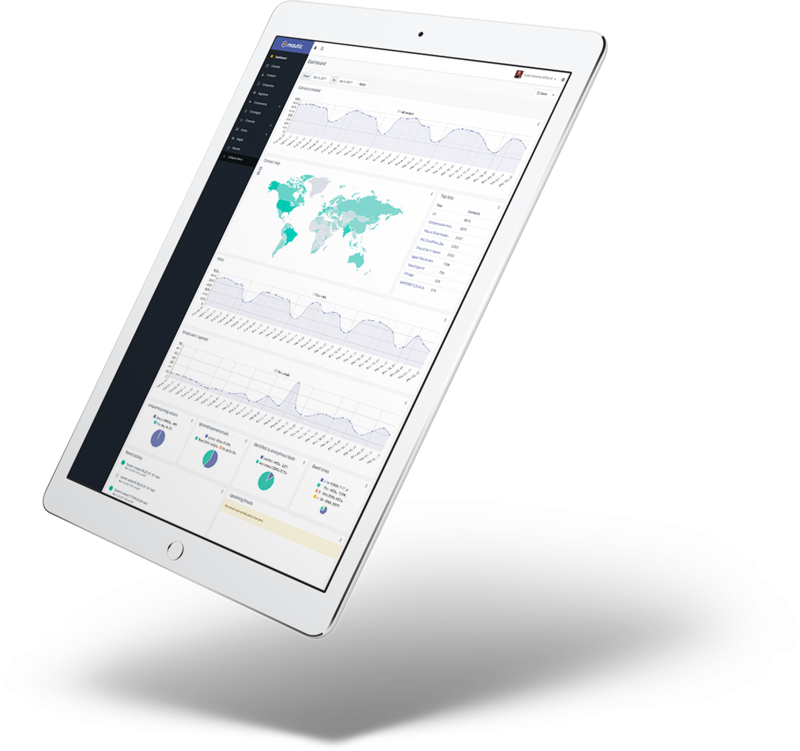 A visually friendly dashboard gives you a single quick point of view into how your digital campaigns are performing. Export report details and data for deeper analysis or to share with other team members or partners.